Golf is comprised of skilled players, some with handicaps of 5 or better. 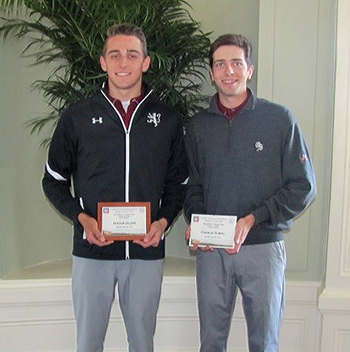 Golfers have had successful college careers at Division I and III, with some receiving All-American honors. Players keep their swings sharp with a golf simulator in Love Gym. Exeter plays regularly in tournaments such as the Andover Invitational and Kingswood/Oxford Invitational. Big Red participates yearly in the Pippy O'Connor Invitational against the best female golfers in New England. 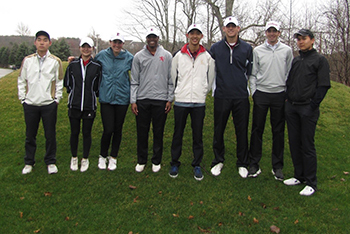 The Golf Team opened their season on Saturday at home versus Tilton. It was an impressive start with 6 of the 8 players breaking 40 on only their second day on the course at Breakfast Hill. The Match score was 11-1. 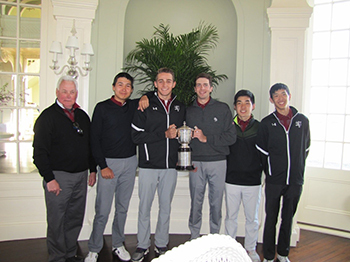 Senior, Steven Dilisio was the low scorer with even par 36, followed by Daulet Tulebayev with 37, Carlie Dubiel at 38 and Stella Woo, Brian Choi and Michael Kim with solid 39’s. Zanny Merullo and Grant Cammock rounded out the team. If the weather will improve we hope to have our first regular season Girls Match against Newton Country Day on Friday and playing New Hampton School on Saturday at Breakfast Hill. total of 298 set’s a new record for low team score. It was 8 years ago that Anthony DiLisio won Medalist honors and Steven duplicating the honor makes it the first brother combo, Charlie gets his 1st title after a well-played round of golf. Sim Allen has also won Medalist honors at Newport. Daulet won Medalist honors last year in very difficult conditions. This makes 5 of the last 8 Medalist have worn the Big Red!! More importantly this is the 3rd Team title in the past 8 years, it is with great pleasure to see the teams involved step up and play well as a team.